Based on Uxfmarkets Review I see that UFXMarkets is one among the more recent forex brokers to enter the market, but the team at UFXMarket does not consist of experienced traders. With a uniquely designed trading platform and various account options to select from, the company tries its level best to provide something for all types of traders. This company was founded in 2011 and has headquarters in Cyprus. Trading Platform: The company has its own distinctive platform. This trading platform can be easily used as it comes with comprehensive instructions written at the top part and simple left navigation where the traders can easily switch between commodities, trading, indices and several other alternatives. Features: If you are searching for a Forex broker that provides something more than a straight trading platform, this company should be at the top of the list. UFX Markets also provides varieties of other Forex educational tools made especially for the traders who are new in this field. Traders with experience can take advantage from other offerings. These examples include charting and forex trading signals. 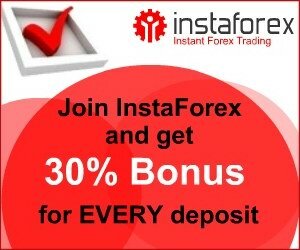 Lastly, the thing that was appreciated by us was that the company provides referral advantages to forex traders who recommend platform for the other new traders. Customer Service: The company provides phone support in four countries; Egypt, United Kingdom, Hong Kong and Singapore. This company also offers a 24 hour chat and e-mail service. Micro Account: This is available for deposits ranging between $100 and $499. It also has the lowest trade size and is regarded as the perfect starting point for novice traders. Mini Account: This is designed for traders who are planning to invest between $500 and $999. This account needs a small deal size made of $1000. The company provides daily market updates. Ordinary Account: This is meant for those who wish to deposit a minimum amount of $1000. This particular account provides better spreads compared to the smaller accounts and extra support for people engaged in trading. Advanced Account: Like the name indicates, this account is perfect for traders who have experience in the field as they need a minimum amount of deposit. 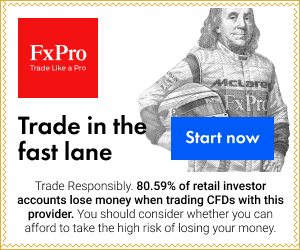 Moreover, this account provides a low spread and the benefit of dealing room where the traders can take advantages from the knowledge of other traders. Islamic Account: People looking for an Islamic Forex trading account will find it with UFXMarkets. Although all the accounts mentioned above function in a similar way to the ordinary Forex accounts, they require a minimum of $1,000 deposit. There is no need to offer any personal information when opening an account. We did not have to state whether or not we had trading experience. We were able to make deposits via credit card, wire transfer, cash U and Money Bookers. Identification is required for withdrawal. Final Thoughts: The design of the site and trading platform is well thought out. The broker provides competitive spreads which are regarded as reasonable. Fast execution process and one click make UFXMarkets a better choice for traders who love making quick trading decisions. Please write your comment about UFXMarkets.